NASPH was formed in 2005 in order to further the study of philosophical hermeneutics. 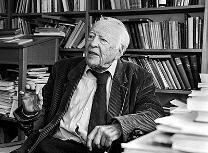 While honoring the rootedness of philosophical hermeneutics in the work of Hans-Georg Gadamer, NASPH also recognizes that the future of such thinking depends on engaging with a diverse range of figures and issues. Our intention is to promote dialogue focusing on both the sources of, and the prospects for, philosophical hermeneutics. In addition to this blog, NASPH also maintains an online archive with information about past conferences and meetings at https://sites.google.com/site/nasphdocs/. E-mail correspondence may be addressed to nasphermeneutics at gmail.com.